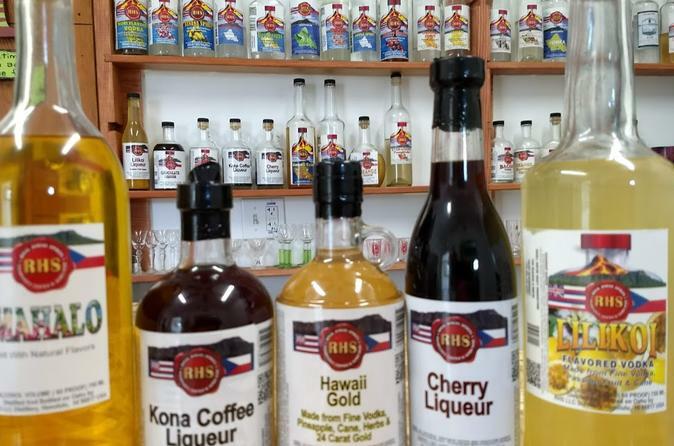 The RHS (Royal Hawaii Spirits) Spirit &Liqueur tasting tour includes a short walk through the RHS Micro Distillery. Visitors are welcome to ask any questions during the walk through or anytime during the product tastings. "Come one, come all (as long as you're over 21 of course for tasting part) and meet the Willy Wonka of Alcohol! " "Spirits"- not sure what defines this generic type of alcohol, but he makes it! Distilled Spirits Specialties. The owner is a friendly guy from the Czech Republic who's a master of the craft of concocting alcohol and his passion for his products is just so inspiring. I love small businesses and what he's doing is very special. Definitely highly recommend that you go check it out! And try what he's making! I think bartenders, restaurateurs and even just people who love to mix drinks for friends at home will Love this place. If I had a restaurant, I'd buy special edition liquor from Karel and make my own signature drink, knowing that nobody else in town has it. He can do small batch brews for special occasions like weddings. And pretty much create whatever flavor you want. It's super cool! Parking is in the main lot on Dillingham, (with Zippy's and all the restaurants), then walk out the back of the parking lot (follow the signs) and turn left (Kaumualii Street) and RHS shop entrance is on the back street (no door/ entrance from the main Kapalama Center parking lot).